1. Avoid high calorie drinks like soda, cappuccinos and alcohol. 2. Avoid fried foods like fried chicken sandwiches and French fries. 3. Chew all your food thoroughly, enjoying each bite. 4. Slow down when you eat, put your fork down between bites. 6. 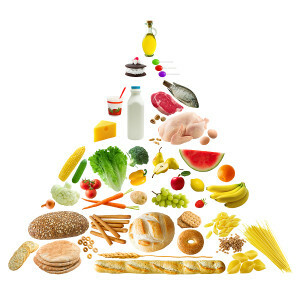 Eat from all the food groups (dairy, meat, whole grains, fruits, vegetables and fat). 9. Avoid trans fats and hydrogenated fats. 10. Avoid high fructose corn syrup. 11. Eat foods that are natural. I have developed an easy-to-follow nutrition improvement challenge. It is set up for 28 days. This is the amount of time it takes to formulate new habits. Please download it and let me know how you do. Most people who follow it lose weight, have more energy, and experience fewer aches and pains.